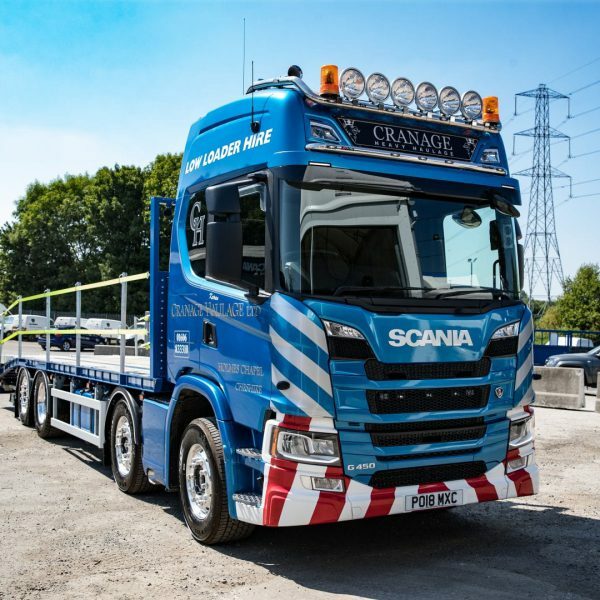 With a wide variety of customers requiring different loads to be transported, Cranage Haulage’s modern fleet is key to its success. Working with Sterling, Cranage achieved a very flexible solution with cheesewedge ramps, giving the flexibility of a flat deck for fixed loads but a loading angle to take plant and access machinery. Cheshire based Cranage Haulage are specialists in heavy haulage. A family run business with over thirty years’ experience in the game, the company has a great understanding of the challenges and in the haulage industry. With a wide variety of customers requiring different loads to be transported, Cranage Haulage’s modern fleet is key to its success. 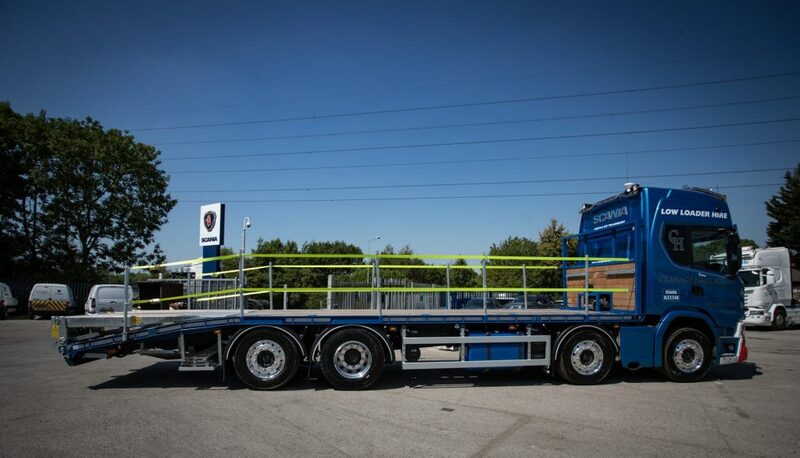 Working with Sterling, Cranage achieved a very flexible solution on a Scania 8×2 New Generation G450 Cab chassis. 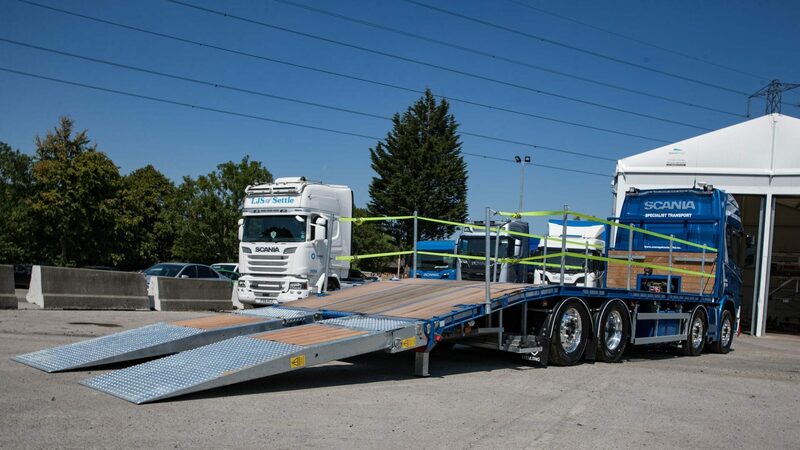 The truck was specified with cheesewedge ramps, giving the flexibility of a flat deck for fixed loads but a loading angle to take plant and access machinery. Noticeably the deck and the rear of the ramps are fitted with rail tracks again increasing the versatility of the vehicle. 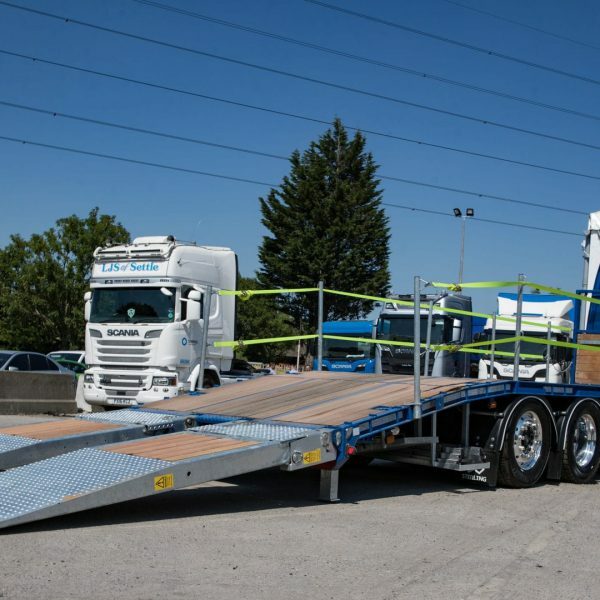 The chassis was supplied by Haydock Commercials, with the latest Euro 6 compliant engines and emissions reduction technology, to minimize carbon footprint and maximize fuel economy. 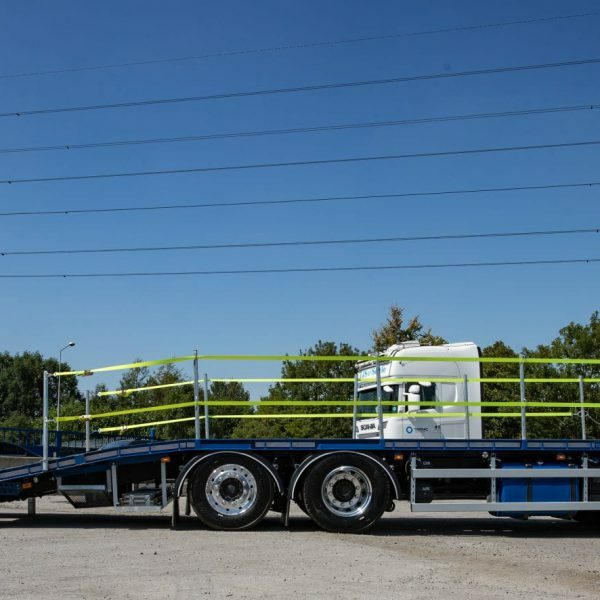 The edge protection and ramps have much improved protection with zinc galvanizing, increasing the life of the body and reducing the overall cost of ownership due to lower maintenance and ultimately, a higher residual value. Built with an innovative design, the truck has an impressive payload of nearly 19 tonnes. This truck is the second Sterling truck on the Cranage fleet, with the third already on order. Thanks Cranage, we look forward to working with you again! Want to see more of our products? Click here!